The Thang Long – Hanoi Heritage Conservation Centre plans to open a new excavation area, north of Doan Mon relic site, to visitors from January 20 to February 28. The centre will display materials on Doan Mon playground and hold an exhibition on Vietnam’s imperial clothing, with 15 sets of clothes worn by Trinh Lords and Nguyen Kings. Exhibitions on Tet (Lunar New Year) pictures, Vietnam’s heritage photos, bonsais and flowers will also be held. 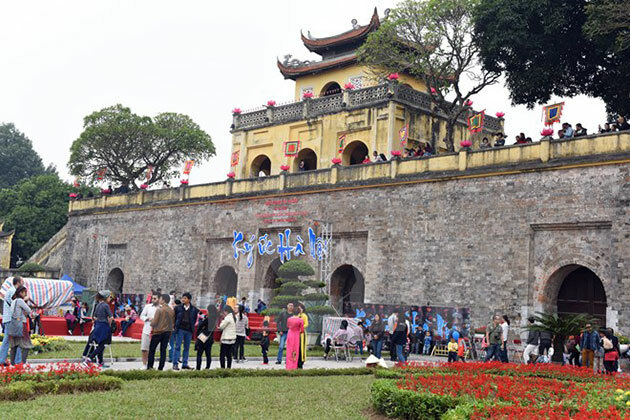 Tourists to the Thang Long Imperial Citadel during Tet can also enjoy many traditional Vietnamese cultural and art activities. Relic sites within the Thang Long Imperial Citadel remain open to tourists before, during and after Tet festival./.